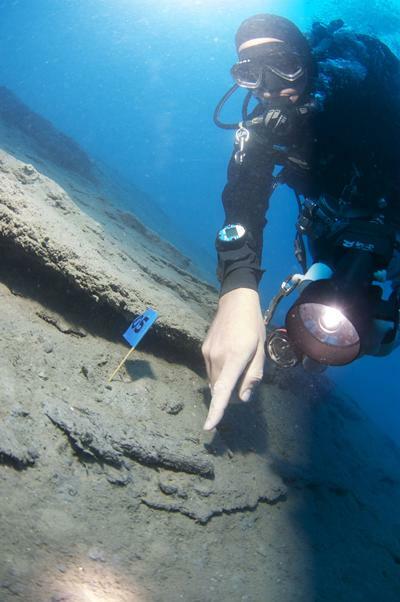 The Bova Marina Maritime Project is a multidisciplinary collaboration between archaeologists, oceanographers and earth scientists working on the coast and near offshore zone in southern Calabria, Italy. Evidence for coastal prehistoric activity in the central Mediterranean region can contribute to our understandings of several central theoretical issues, including Mesolithic forager presence, the spread of the Neolithic and inter-regional exchange. Coastlines structure human life: they afford access to marine resources, allow travel and inter-regional contact, concentrate population, and furnish points of reference in cultural landscapes. For archaeologists investigating prehistoric activity within coastal landscapes understanding the associated geomorphology and specific coastal dynamics is critical. Whilst we conceptually understand that landscapes are undergoing constant change, this change is perceptible on the coast where it can be observed on many different temporal scales, from the geological longue durée of sea-level change to the immediacy of geohazards, landslides, tsunamis and flash floods. 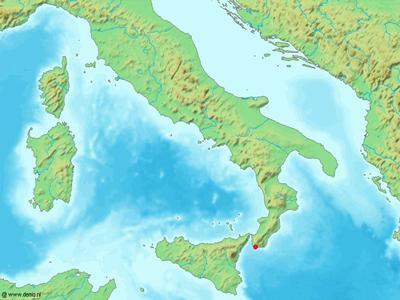 In southern Italy, the steeply shelving coastal bathymetry means that gradual mid-late Holocene sea-level rise has had little impact on the position of the coastline. Due to this, within archaeological narratives, questions of coastal landscape and environmental change in this region are often overlooked. Local coastal dynamics, geomorphological mechanisms and palaeoenvrionmental change are missing from accounts of prehistoric activity in the region. To understand the cultural landscape, and the presence or absence of people and archaeological material in the coastal zone, it is necessary to understand the specific local coastal dynamics alongside stories of regional and global environmental change. 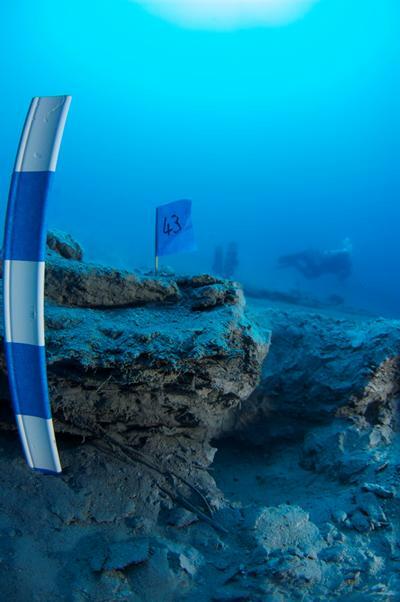 This situation was demonstrated dramatically in 2005, during research by the Bova Marina Archaeological Project (BMAP) in Calabria, Italy (Fig. 1). During underwater geological reconnaissance in 2005 a peat deposit was found 500 metres offshore that consisted of a dense organic layer of micro and macro fossils including tree roots, stumps and branches, seeds, leaves and charcoal (Fig. 2). Samples from this deposit at -27 metres below sea level were dated by AMS (on acorns, seeds and round wood) to 6010 cal. BP corresponding to the Final Neolithic in this region. This generates a series of questions about local coastal dynamics. Comparison with the local relative sea-level curve shows that the site would have been submerged at this date. Thus, the location and nature of this pristinely preserved organic deposit poses a conundrum. Even though the region is known to be tectonically active, the location of this rapidly deposited, unsorted, subaerial deposit generates a series of questions about local coastal dynamics, neotectonics or large scale gravitational instability, as well as sedimentary events such as hyperpycnal floods or tsunamis. Investigations into the presence of this terrestrial-organic deposit can provide information about the characterization and temporal recurrence of such geohazards; the local coastal geomorphology of submerged canyon heads associated with fiumara in the region, and the sediment transportation therein. Not only does this hold significance for coastal development and civil protection today but it also generates questions about how people perceived and negotiated this dynamic coastal environment during the Neolithic. With the aid of a Speculative Research Grant from the British Arts and Humanities Research Council (AHRC) a team of marine geologists, geophysicists and geoarchaeologists from the University of Cambridge and McMaster University (Canada) assisted by the Università Mediterranea of Reggio Calabria, returned to the site in 2008 and 2009. 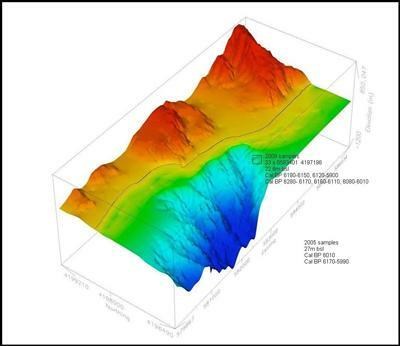 A basic geophysical survey was undertaken and bathymetry and backscatter data were collected to aid the underwater survey, characterization and identification of sedimentary features within the wider context of the coast from Bova Marina to Palizzi (Fig. 3). Diver surveys were able to identify, map and core the organic deposits for sediment, micro and plant macrofossil analysis (Fig. 4 ). Post excavations work and analysis is on-going. For further information about archaeology in Calabria see the terrestrial project website.